If you’ve suffered from the fire-inside-your-chest feeling of heartburn, you know that it can attack at a moment’s notice. What’s worse, you may even feel as if you can do nothing to treat the symptoms except to keep your head elevated and wait for it to pass. You can do so much more than that to treat and soothe heartburn. If there’s one thing that truly blocks the healing path, it’s misinformation. You may have heard a myth that having too much acid in your stomach causes acid reflux and heartburn. While heartburn happens when stomach acid backs up into the esophagus, acid reflux itself results from not having enough acid in the stomach. Read more about the acid reflux myths and facts right here. Now that you know a little bit more about the facts, here are 3 natural heartburn treatments that you can implement from the comfort of your own home. There are many ways to give yourself quicker and more efficient relief. When you feel that burning sensation rising in your throat, consider a few common herbal supplements that can be taken through vitamin pills or brewed into tea. The next time you’re at the health food store, be sure to pick up the following: peppermint, angelica, chamomile, lemon balm, licorice, caraway, milk thistle, and Clown’s mustard plant. Having these herbal ingredients on hand ensures you’ll be ready to soothe heartburn symptoms as you rest at home. B vitamins give you increased energy. What could these folic acids have to do with heartburn? Low levels of vitamin B2 and B6 in your body increase your risk of acid reflux. But you don’t have to only take supplements or drink vitamin waters to get the B vitamins your body needs to fight off heartburn. Fuel your body with this powerful vitamin by eating foods rich in folates. These foods include asparagus, liver, spinach, okra, and beans. One way to treat heartburn is to avoid it in the first place. 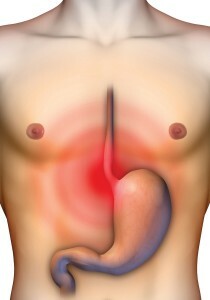 If you think that heartburn is unavoidable, that isn’t the case when you know which foods trigger symptoms. You can do exactly that with a personalized food sensitivity test. How do you know which foods cause your unique symptoms? Food Sensitivity Test for 96 foods. Food Sensitivity Test for 184 foods.